An international team of researchers says it has mapped a molecular complex that could aid in the development of better medications with fewer side effects for osteoporosis and cancer. The near-atomic resolution images depict parathyroid hormone receptor-1 (PTH1R), a molecule that conveys signals to and from cells, interacting with two key messengers—a molecule that mimics parathyroid hormone, one of the most important regulators of calcium levels in the body, and a stimulatory G protein, a molecule that mediates bone turnover. 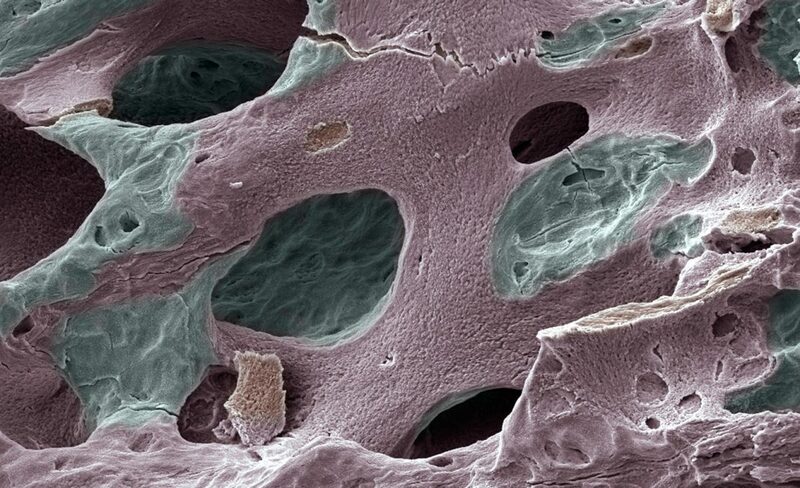 The study (“Structure and dynamics of the active human parathyroid hormone receptor-1”), published in Science, gives researchers a better blueprint for designing drugs for osteoporosis and other conditions such as cachexia, which causes severe weakness and weight loss that can be fatal in cancer patients, according to the scientists. “The parathyroid hormone receptor-1 (PTH1R) is a class B G protein–coupled receptor central to calcium homeostasis and a therapeutic target for osteoporosis and hypoparathyroidism. Here we report the cryo–electron microscopy structure of human PTH1R bound to a long-acting PTH analog and the stimulatory G protein,” the investigators wrote. Globally, more than 200 million people have osteoporosis and even more have low bone density. In the coming years, public health experts expect these numbers to rise, fueled in part by an aging population. They also fear an increase in osteoporosis-related fractures due to fewer people taking current medications out of concern over rare side effects. PTH1R is a molecular communication conduit between cells and their environments that fosters the development of the bones, skin, and cartilage, and regulates levels of calcium in the blood. To do this, it interacts with molecular messengers such as the parathyroid hormone, which ensures the bloodstream has the appropriate amount of calcium to maintain healthy function. However, too much parathyroid hormone can wreak havoc on the body, spiking the amount of calcium in the blood to dangerous levels, promoting the formation of kidney stones and leaching calcium from bones, which can cause devastating fractures. Too little bogs down metabolism, and contributes to fatigue, weight gain, depression, and a host of other issues. The new findings also provide insight into G protein-coupled receptors (GPCRs), a family of signaling molecules to which PTH1R belongs. Taken together, GPCRs are targeted by nearly 30% of medications currently on the market. GPCRs are notoriously difficult to visualize using traditional x-ray crystallography methods, noted Xu. To date, only about 40 out of more than 800 total GPCRs have had their structures determined. 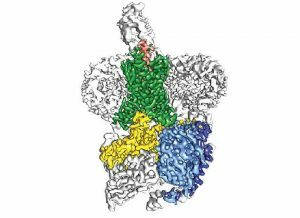 To visualize this structure, the team used cryo-electron microscopy (cryo-EM), which is capable of imaging molecules with great clarity and can more easily image molecules like GPCRs that are embedded in the cell membrane.